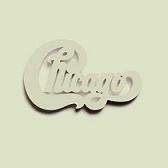 Chicago at Carnegie Hall was the album that completed my original CD library of Chicago albums. Yes, I own every one of 'em � from Chicago Transit Authority all the way to (cough, cough) Love Songs, with a few more compilations, holiday discs and imports tossed in. For some reason, I was under the all-too-false assumption that I didn't really need the four-record set on three compact discs. To me, the album seemed excessive, bloated. (And I call myself a progressive music fan?) Once I obtained a copy, I think I listened to the whole thing, all 169 minutes beginning to end, twice. Then, enticed by the job Rhino Records did with its reissues of the first 14 Chicago albums (sans Carnegie Hall) � and more enamored with CTA, Chicago and Chicago III than ever � I decided to pick up the recently remastered and repackaged version of Carnegie Hall, now expanded to four discs with eight previously unissued songs from Chicago's unprecedented week-long April 1971 run at the famous New York City venue, the day it came out. Chicago's first three albums were originally released by Columbia Records as hefty double LPs, loaded with political statements, intricate song suites, distortion and sound effects, psychedelic spice, Big Band influences, country rock, funky R&B, sweeping cinematic jazz, sunny pop and a hornful of feel-good singles � all proudly and loudly on display throughout Carnegie Hall. In fact, other than the public debut of then-new track, "A Song for Richard and His Friends" � which, singer/guitarist Terry Kath announces, is "about wishing President Nixon would quit") � all of the material here comes from those first three albums, but the songs are performed with even more passion than the original versions. You can hear band members whooping it up on "In the Country," while they let their improvisational chops fly, sometimes incorporating jazz, fusion, and rock all into the same song. That's what happens on "Sing A Mean Tune Kid." And for anyone who doubts the prog-worthiness of Chicago in its classic form, consider this: "Does Anybody Really Know What Time It Is? (Free Form Intro)" is nearly twice as long as the song itself. The seven ambitious musicians who played on the first three albums and on those magical New York City nights captured here � Kath, singer/keyboard player Robert Lamm, singer/bassist Peter Cetera, drummer Danny Seraphine, trumpeter Lee Loughnane, trombone player James Pankow and woodwinds man Walter Parazaider � formed a one-of-a-kind nucleus that arguably could not have been duplicated with other players. Kath's soulful, gritty voice and Lamm's smooth baritone contrast sharply with Cetera's high and sweet vocals, which gave the band a variety of options back then when it came to both musical arrangements and vocal interpretations. Those dimensions are revealed more than ever on Carnegie Hall, which Chicago essentially used as a gigantic, experimental studio for six days. The band, unafraid to take both its chances and its time, proved that eight sides of vinyl can, indeed, be filled with enduring, spontaneous and timeless music. Which may explain why Carnegie Hall defied convention and reached No. 3 on the "Billboard" Top LPs chart. While Chicago eventually devolved into a soft-rock outfit that garnered new generations of listeners while alienating older fans, Carnegie Hall proved to be prescient on at least two counts: Today, it's common for bands to release box sets with three or more discs of all live material (Genesis, Yes, Rush), and in a move that predated VH1's "Storytellers" by a good three decades, Kath introduced many songs with brief background info. In one of the lighter moments, he calls "Beginnings "an oldie but a goodie" � even though it was only two years old at the time. Today, Chicago at Carnegie Hall � the whole damn thing � can, and should, be considered "an oldie but a goodie."